You and Your: the customer named in the Particulars and its permitted successors and assigns. 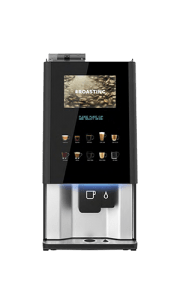 We and Our: Care Vending Services Limited (Company Number 03528469) whose registered office is at Unit 19/20, Gunnels Wood Park, Gunnels Wood Road, Stevenage, Hertfordshire SG1 2BH. Claims: all demands, claims, proceedings, fines, penalties and liability (whether criminal or civil, in contract tort or otherwise) and any losses including without limitation financial losses, damages, legal costs and other expenses of any nature whatsoever. Conditions: these standard terms and conditions including in addition any special terms and conditions agreed in writing between Us and You. Contract: the contract between Us and You for the hire of the Equipment, supply of Maintenance Services and supply of Products. 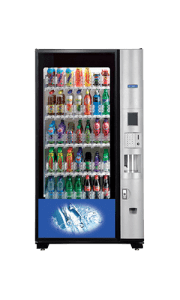 Equipment: the vending equipment specified in the Particulars, all substitutions, replacements or renewals of such equipment and all related accessories, parts, manuals and instructions provided for it. Initial Contract Period: the period of supply of service and/or hire specified in the Particulars, commencing on the date of delivery of the last item of Equipment which We are supplying to You or the date we commence servicing your existing equipment. Maintenance Charges: the charges payable by You to Us for Maintenance Services if no Maintenance Fees are specified in the Particulars and the charges for any services which We perform which are excluded from the Maintenance Services by clause 9.2 (Excluded Services). All such charges will be calculated by reference to the time spent performing the Maintenance Services or Excluded Services at Our then current rates. Maintenance Fees: the fees payable by You for the provision of the Maintenance Services specified in the Particulars (if any). Maintenance Services: the services for the maintenance of the Equipment, more particularly described in clause 9. Minimum Purchase Amount: the minimum aggregate annual value (including VAT) of Products which You must purchase from Us each year during the Term (or, in respect of any period of time during the Term which is less than a year, the pro rata proportion of that amount), such amount being calculated by reference to the rates specified in the Particulars for the first year of the Term and thereafter the Minimum Purchase Amount shall increase on each anniversary of the commencement of the Term by the amount of 5%. Normal Working Hours: Monday to Friday, 9am to 5pm on any day (Working Day) other than a Saturday, Sunday or Public Holiday in England. Order: a purchase order or other written request issued by You to Us for the hire of the Equipment, supply of the Maintenance Services and/or supply of the Products. Particulars: the particulars of the Contract, issued by Us to You confirming acceptance of the Order, which may be sent by email. Products: the consumables specified in the Particulars with which the Equipment is to be stocked for sale during the Term which are to be supplied by Us to You. Rental Payments: the hire fees payable by You for hire of the Equipment (if any) specified in the Particulars. Revenue Fees: fees payable by You to Us (if any) at the rate specified in the Particulars, being a percentage of the gross sale proceeds (including VAT) of all Products sold by You through the Equipment, and (in addition) an administration charge of a further 2.5% of the gross sale proceeds (including VAT) of all Products sold by You through the Equipment. Sale Conditions: Our standard terms and conditions for the sale of the Products which apply to all sales of the Products by Us to You, the current edition of which is annexed to the Particulars and is available on our website. Site: Your premises specified in the Particulars or such other premises as We, in Our sole discretion, may agree. Term: the Initial Contract Period and thereafter the Contract shall be automatically renewed, each time for a period of one year, unless terminated as provided below. WEEE Laws: the Waste Electrical and Electronic Equipment Directive (2002/96/EC). 1.2 Any reference to a statute or statutory provision is a reference to it as amended or replaced from time to time and to any subordinate legislation made under it. 1.3 Any obligations of a party consisting of one or more persons shall be held jointly and severally by them. 1.4 Unless expressly stated otherwise, the term “including” in the Conditions is deemed to be followed by the words “without limitation”. 1.5 Any obligation on You not to do something includes an obligation not to allow that thing to be done. 2.1 The Contract will come into effect once We have accepted an Order from You by issuing the Particulars. 2.2 The Conditions and Particulars supersede, override and exclude any other terms and conditions, descriptions and statement as to quality and performance or suitability of the Equipment stipulated or referred to by You in an Order or otherwise. 2.3 Where there is a conflict between the Particulars and the Conditions, the Particulars will prevail. 2.4 No representative or agent of Us has any authority to agree any terms or make any representations that are inconsistent with the Conditions and/or the Particulars. We will not be bound by any statements made by any person purporting to act on Our behalf as to the Conditions and/or Particulars or any statements as to the delivery, quality, performance or suitability of the Equipment unless any such statement is specifically confirmed in writing by a duly authorised officer of Us and annexed to the Contract. You acknowledge that You do not rely on and waive any claim You might otherwise have for breach of any such representations which are not so authorised. 2.5 The Contract may only be amended in writing signed by duly authorised representatives of each party. 2.6 The Conditions are deemed to be incorporated in all agreements entered into between Us and You from time to time which provide for the hire of any Equipment and/or supply of any Maintenance Services and/or Excluded Services by Us to You. 2.7 Any notice required or permitted to be given by either party to the other under the Contract must be in writing addressed to that other party at the address set out in the Particulars unless any other address is specifically notified to the party by the other at any time and the notice will be effective only if served by first class post at the expiration of two Working Days after the day of unreturned posting. 2.8 No failure or delay by Us in exercising any right, power or privilege under the Contract will impair the same or operate as a waiver of the same nor will any single or partial exercise of any right, power or privilege preclude any further exercise of the same or the exercise of any other right, power or privilege. Our rights and remedies set out in the Contract are cumulative and not exclusive of any rights or remedies provided by law. 2.9 If any provision of the Contract is held by any competent authority to be unlawful, void or unenforceable in whole or in part it will be deemed to be amended insofar as it is possible to do so in order to make it enforceable whilst retaining its purpose or deleted if it is not possible to do so and will not in any way affect any other circumstances of or the validity or the enforcement of the Contract. In Our sole discretion We may terminate the Contract by not less than 20 Working Days written notice to You in the event that We consider that such deletion will adversely affect Our rights under the Contract. 2.10 The Contract shall in all respects be governed by and interpreted in accordance with English law and the parties submit to the exclusive jurisdiction of the English courts. 2.11 No one other than a party to the Contract shall have any right to enforce any of its terms. 2.12 Nothing in the Contract is intended to, or shall be deemed to, establish any partnership or joint venture between either of the parties, constitute either party the agent of another party, or authorise either party to make or enter into any commitments for or on behalf of the other party. Each party confirms it is acting on its own behalf and not for the benefit of any other person. 2.13 The Contract is personal to You and You may not assign, transfer, mortgage, charge, subcontract, declare a trust over or deal in any other manner with any of Your rights and obligations under the Contract. We may assign, transfer, mortgage, charge, sub-contract, declare a trust over or deal in any other manner with any of Our rights, benefits and obligations under the Contract without Your consent. Unless the Particulars specify otherwise, We shall hire the Equipment to You for use at the Site during the Term subject to the terms of the Contract. 4.1 You will pay the Rental Payments and Maintenance Fees to Us monthly in advance without demand on the last day of each calendar month, with the first payment falling due on the date of commencement of the Initial Contract Period (or a proportionate part of the Rental Payments and Maintenance Fees for that month if the Initial Contract Period does not commence on the last day of a calendar month). 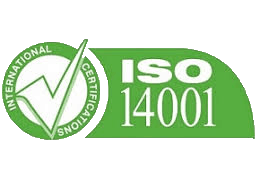 4.2 You will pay Revenue Fees monthly in arrears within 14 days of the date of Our invoice specifying the amount due. Our invoices are calculated based on sale figures electronically monitored by Us and are binding on You in the absence of manifest error. 4.3 You will pay Us all Maintenance Charges and any other one off charge or payment due from You arising from time to time under the Contract within 10 Working Days of the date of Our invoice or other demand. 4.4 All sums due from You to Us under the Contract are exclusive of VAT and any other applicable taxes and duties or similar charges which shall be payable by You at the rate and in the manner from time to time prescribed by law. 4.5 All amounts due from You under the Contract shall be paid in full without any set-off, counterclaim, deduction or withholding (other than any deduction or withholding of tax as required by law). 4.6 If You fail to make any payment due to Us under the Contract by the due date for payment then, without limiting Our remedies under clause 12, You shall pay interest on the overdue amount at the rate of 4% per year above Barclays Bank Plc base rate from time to time. Such interest shall accrue on a daily basis from the due date until actually payment of the overdue amount, whether before or after judgement. You shall pay the interest together with the overdue amount. 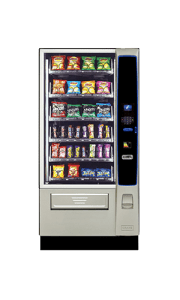 4.7 We will maintain the Vending Services Supply Standard provided by reviewing all basic commodity, labour and part costs associated with the charges and implement any said inflationary increases if and when required. 5.1 If we are hiring or selling Equipment to you, We shall deliver the Equipment to the Site and will use reasonable endeavours to do so on the date specified in the Particulars. Time for delivery shall not be of the essence of the Contract. 5.2 On delivery, We will install the Equipment at the Site provided that You have complied with Your obligations in clauses 7.2 and 7.3 to enable Us to do so. You must ensure that a duly authorised representative is present at the installation of the Equipment. Acceptance of installation by such representative shall constitute conclusive evidence that You have examined the Equipment and have found it to be in good condition complete and fit in every way for the purpose for which it is intended. If required by Us, Your representative shall sign a receipt confirming such acceptance. 6.1 The Equipment shall at all times remain Our property and You shall have no right, title or interest in or to the Equipment (save the right to possession and use of the Equipment subject to the terms of this Contract). 6.2.3 insurance against such other or further risks relating to the Equipment as may be required by law, together with such other insurance as We may from time to time require. 6.3 All insurance policies procured by You shall be endorsed to provide Us with at least 20 Working Days’ prior written notice of cancellation or material change (including any reduction in coverage or policy amount) and shall upon Our request name Us on the policies as a loss payee in relation to any claim relating to the Equipment. You shall be responsible for paying any deductibles due on any claims under such insurance policies. 6.4 You shall give Us immediate written notice in the event of any loss, accident or damage to the Equipment arising out of or in connection with Your possession or use of the Equipment. 6.5.2 terminate the Contract with immediate effect by giving notice if We reasonably consider that the circumstances giving rise to the Total Loss remain and that there is a risk of Total Loss of replacement Equipment, other Equipment also hired to You or a risk of harm to Our employees, agents or subcontractors in providing the Maintenance Services. 6.6 If loss or damage occurs that does not amount to a Total Loss to the Equipment You shall immediately notify Us and apply all insurance monies payable in making good such damage. In the event that the insurance monies are insufficient to make good the damage, You will make up the difference between the cost of repairs and parts and the proceeds of the insurance policy. We will carry out repairs to the Equipment as Excluded Services in these circumstances and Maintenance Charges will apply. 6.7 If You fail to effect or maintain any of the insurances required under the Contract, We shall be entitled to effect and maintain the same, pay such premiums as may be necessary for that purpose and recover the same as a debt due from You. 6.8 You shall, on demand, supply copies of the relevant insurance policies or other insurance confirmation acceptable to You and proof of premium payment to Us to confirm the insurance arrangements. 6.9 You are solely responsible for and indemnify Us in respect of all loss or damage to the Equipment (insofar as We shall not be reimbursed by the proceeds of insurance in respect thereof), however caused, occurring at any time or times before physical possession of the Equipment is re-taken by Us. 6.10 If the Particulars state that We do not own the Equipment the provisions of clauses 6.1 to 6.9 shall not apply to that Equipment. 6.11 If We are selling Equipment to You, that Equipment shall at all times remain Our property until all sums due from You to Us under the Contract have been paid in full and the provisions of clauses 6.1 to 6.9 shall apply throughout that period. 7.1.14 not do anything which could invalidate the insurances referred to in clause 6. 7.2.3 if the Equipment requires a three phase or specific single phase electrical supply, You have this installed to the current edition of the IEE Wiring Regulations within one unobstructed metre of the agreed location of the Equipment. If You have not complied with the provisions of this clause 7.2 prior to the date of delivery and installation and We are unable to install the Equipment as a result, You agree that We may charge and You will pay Us for installation on a later date agreed with You at the rate of £50 per hour plus VAT (including during any time spent travelling to and from the Premises) and (notwithstanding the fact that the Initial Contract Period will not commence until actual delivery of the Equipment) You agree that We may charge and You will pay an amount equal to the Rental Payments and Maintenance Fees which would have been payable by You had you complied with clause 7.2 for the period from the date of attempted delivery to the date of actual delivery. 7.4 Throughout the Risk Period You shall comply in all respects with the WEEE Laws notwithstanding any obligations We may have as the owner of the Equipment under the WEEE Laws and You shall indemnify Us against any Claims arising under the WEEE Laws in respect of the Equipment. 7.6 You shall only stock the Equipment with the Products, purchased from Us.  7.7 You shall not offer for sale anywhere at the Site other than through the Equipment, whether through vending machines or otherwise, products which are the same as or similar to the Products including any hot or cold soft drinks, crisps or other confectionery products. 7.8 You will make reasonable efforts to promote the sale of Products from the Equipment and, in particular, will not obstruct access to the Equipment. 7.9 You expressly agree that the restrictions contained in clauses 7.1.7 and 7.6 to 7.8 are reasonably necessary for the protection of Our legitimate business interests having regard to the agreed Minimum Purchase Amount, the method of calculation of the Rental Payments and any Revenue Fees. 7.10 If the Particulars state that We do not own the Equipment, the following clauses will not apply to that Equipment but will apply to any other Equipment which We hire or (subject to clause 7.11) sell to You under the Contract: clauses 7.1.5, 7.1.6, 7.1.9 to 7.1.14. 7.11 If We sell Equipment to you, clauses 7.1.5, 7.1.6 and 7.1.9 to 7.1.14 will only apply to that Equipment until title to that Equipment passes to You under clause 6. 8.1 During the Term, We shall supply and You shall purchase such quantities of Products as may be required to keep the Equipment fully stocked from time to time and You agree that You will spend no less than the Minimum Purchase Amount each year. 8.2 If the combined price of Products purchased by you in any three month period during the Term (Actual Purchase Amount) is less than the Minimum Purchase Amount for that three month period then (unless the shortfall was caused by Our default or an event of force majeure) at our discretion we may treat that failure as an irremediable breach and terminate the Contract under clause 12.2.2 or require You to pay (and You agree to pay) 50% of the difference between the Minimum Purchase Amount and the Actual Purchase Amount applicable to that period. 8.3 Nothing in the Contract will entitle You to any priority of supply in relation to the Products as against Our other customers but We will use reasonable endeavours to maintain a sufficient inventory to meet Your average requirements from time to time during the Term. 8.4 Each contract for the sale of Products will consist of the Sale Conditions, any amendments to the Sale Conditions contained in this Contract, any special conditions expressly agreed between You and Us from time to time and Our order acknowledgement for those Products issued to You in response to any purchase order You submit to Us but not any terms and conditions You incorporate in Your purchase order. 8.5 Notwithstanding Our right to terminate this Contract under clause 12.2.3, each contract for the sale of Products is a separate contract between You and Us. Default by Us in relation to any one contract for the sale of the Products will not entitle You to treat that failure as a breach of this Contract. 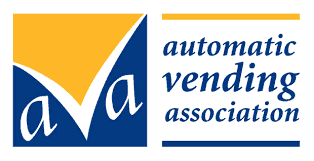 8.6.1 For Leased/Rented machines – Current Maintenance charges to be increased 100% & Current Rental/Lease to be billed at an additional 25% for the quarter reviewed nb. if maintenance has not yet begun it will be charged at 100% of the agreed commencement rate. 8.6.4 In all instances we will bill the higher of the charges listed in clauses 8.6.1 to 8.6.3 or 25% of the value of the highest quarterly stock order to date. 9.1 After installation of the Equipment, subject to payment by You of the Maintenance Fees and/or Maintenance Charges (as applicable), We will attend at the Site from time to time during the Term at Your request on reasonable notice during Normal Working Hours to rectify defects in the Equipment arising from normal usage of the Equipment by You and (not more than one a year) to service the Equipment, whether or not it is faulty. 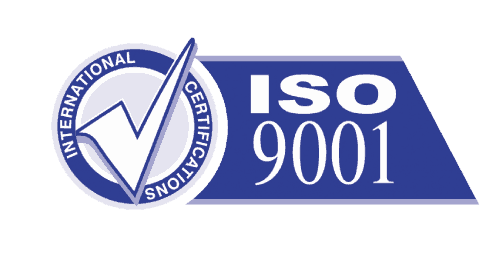 9.2.1 repairs or modifications to the Equipment arising directly or indirectly as a result of fire frost, any damage which should have been insured against under clause 6 (whether or not it was insured against) or failure by You to comply with any of Your obligations in the Contract. 9.2.2 the replacement of water filters which have not been approved by Us or any semi disposable parts such as drip trays. 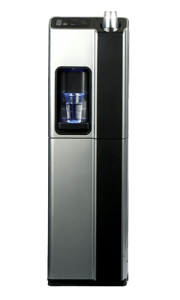 If on inspection at any time We find any damage to Equipment by limescale and You have not used Our approved water filter and related parts such as drip trays, You also agree to pay to remedy any such damage. 9.2.3 any repairs necessitated by changes in the vend price of the Products sold through the Equipment or changes in the coinage in usage in the UK from time to time. 9.2.4 except in the case of a scheduled annual service, any time spent and parts and accessories supplied where, on inspection of the Equipment, We determine in Our discretion that no repair was necessary and/or it is a fault which could have been rectified by You had You followed the instructions for the Equipment. 9.3.3 If We agree to relocate or reinstall the Equipment, whether there is alternative location within the Site or an entirely new premises. 10.1 If We hire and/or sell Equipment to You and have provided You with a specification of the Equipment, on delivery the Equipment shall be in accordance with the quality specified in the specification and if no specification is given or no quality is specified, with the normal industrial quality for equipment of the same kind as the Equipment at its standard retail price/hire fee. 10.2 We will provide the Maintenance Services and Excluded Services which We agree to provide with reasonable care and skill. 10.3 If we hire and/or sell Equipment to You, that Equipment shall be supplied so far is reasonably practicable in accordance with any description given in any catalogue website leaflet or other written publicity material We provide. We may from time to time and without notice make changes in the Equipment which do not materially affect their quality or fitness for purpose. 10.4 We will not be responsible under this clause 10 for any defect in the Equipment which arises out of fair wear and tear, wilful damage, negligence, abnormal working conditions, failure to follow Our or a third party manufacturers instructions advice or recommendations, misuse or alteration or repair of the Equipment without Our approval or out of a breach of the Contract by You. 11.1 Our obligations and liabilities in respect of the description of the Equipment, its quality or its fitness for purpose and in respect of the quality of the Maintenance Services and any Excluded Services We provide are limited to those which are expressly stated herein and all conditions warranties and intermediate terms relation to the condition of the Equipment, its quality and its fitness purpose and in respect of the quality of the Maintenance Services and Excluded Services implied by common law or by statute or otherwise are hereby excluded from the Contract so far the law allows. 11.2 If We fail to perform Our obligations under the Contract then We shall only be liable to You for the damages arising directly and naturally in the ordinary course of events from the breach concerned and shall not be liable to You for any consequential indirect or special damages arising out of Our failure to perform any of Our obligations under the Contract. 11.3 Each party shall be liable for and shall indemnify the other against any Claims arising out of the death of or personal injury to any person or loss of or damage to any physical property arising out of any act fault negligence or breach of statutory duty on the part of that party and against all Claims in respect thereof. 11.4 Our limit of liability under the Contract for any event or series of connected events shall be equal to the combined total of the Rental Payments and Maintenance Fees and Maintenances Charges paid in the preceding twelve month period or such other sum as may be stated in the Particulars or the sum available to Us under Our relevant policy of insurance, whichever is the greater provided that there shall be no limit to Our liability for death or personal injury to any person. 11.5 You acknowledge that We shall not be responsible for any loss of or damage to the Equipment arising out of or in connection with any negligence, misuse, mishandling of the Equipment or otherwise caused by You or Your officers, employees, agents and contractors, and You undertake to indemnify Us on demand against the same, and against all Claims arising out of or in connection with any failure by You to comply with the terms of the Contract. 11.6 You acknowledge that We shall not be responsible for any delay in or failure to perform Our obligations under the Contract to the extent that such delay or non-performance arises out of any failure by you to comply with Your obligations under the Contract. 11.7 You shall be liable to pay Us on demand for any demands, claims, proceedings, liens, penalties and liability (whether civil or criminal in contract tort or otherwise) and any losses including without limitation financial losses, damages, legal costs and other expenses of any nature whatsoever (including any direct, indirect or consequential losses, loss of profit, loss of reputation, loss or damaged property and those arising from injury to or death of any person and loss of opportunity to deploy resources elsewhere) sustained or incurred by Us arising directly or indirectly from Your fraud, negligence, failure to perform or delay in performance or other breach of any of Your obligations under the Contract. 12.1 Either party may at any time terminate the Contract by giving not less than 90 days notice in writing ending on the last day of the Initial Contract Period or on any subsequent anniversary of the last day of Initial Contract Period. 12.2.12 You suspend or cease, or threaten to suspend or cease, carrying on all or a substantial part of Your business. 13.1.2.2 any costs and expenses incurred by Us in recovering the Equipment, repairing it to put it in a condition consistent with the performance of Your obligations under the Contract and in such condition as it is immediately fit for use for its intended purpose and/or in collecting any sums due under the Contract (including any storage, insurance, repair, transport, legal and remarketing costs). 13.2.6 100% of the Revenue Fees (calculated as specified in clause 13.2.5) which would have been payable during a 90 day notice period, had the Contract been terminated in accordance with clause 12.1.
less the proceeds of sale of the Equipment if sold by Us following termination. 13.3 The sums payable pursuant to clause 13.2 shall be agreed compensation for Our loss and shall be payable in addition to the sums payable pursuant to clause 13.1.2. 13.4 Termination or expiry of the Contract shall not affect any rights, remedies, obligations or liabilities of the parties that have accrued up to the date of termination or expiry, including the right to claim damages in respect of any breach of the Contract which existed at or before the date of termination or expiry. 13.5 Clauses that are necessary for the enforcement and/or interpretation of the Contract shall survive termination, including clause 1, 2, 11, 12 and 13. We shall not be in breach of the Contract nor liable for delay in performing, or failure to perform, any of Our obligations under the Contract if such delay or failure result from events, circumstances or causes beyond Our reasonable control. In such circumstances the time for performance shall be extended by a period equivalent to the period during which performance of the obligation has been delayed or failed to be performed.